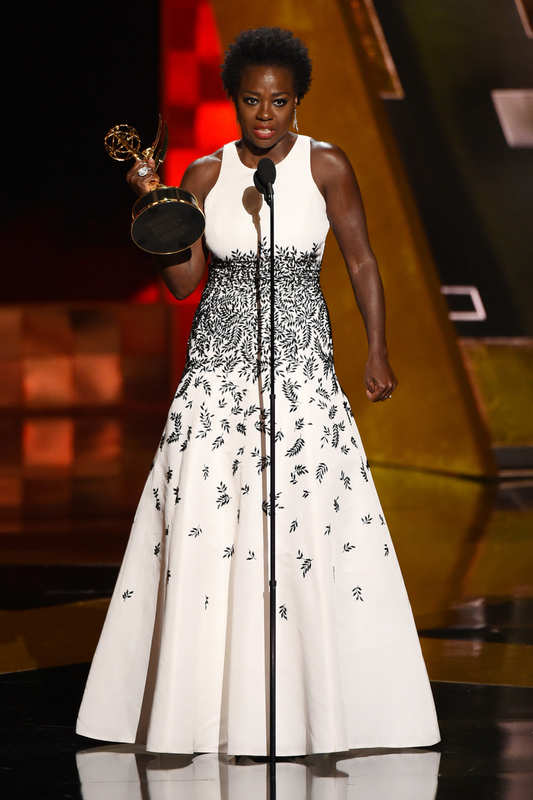 Viola Davis gave an impassioned speech when accepting her Emmy for Outstanding Leading Actress, stating that “the only thing that separates women of colour from anyone else is opportunity”. The 50-year-old actress made history last night as the first African American woman to take home the award and gave shout outs to her fellow black actresses in an incredibly moving acceptance speech. ‘How To Get Away With Murder’ is the latest slice of Shondaland i.e. written by the queen of TV drama, Shonda Rhimes who is the genius behind ‘Grey’s Anatomy’ and ‘Scandal’. Viola was up against Taraji for her role in ‘Empire’ as well as Claire Danes, Robin Wright, Elisabeth Moss and Tatiana Maslany. The award was Viola’s first Emmy, having been nominated for an Oscar, BAFTA and Golden Globe in 2011 for her role in ‘The Help’.